This project consist of six blocks. One block is the circus tent and the other blocks are circus animals. 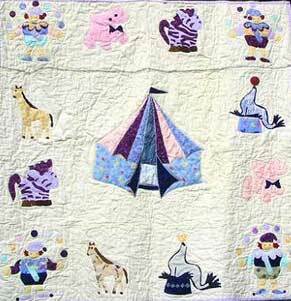 This quilt would make a great baby shower gift.